Don't lose it, reuse it! 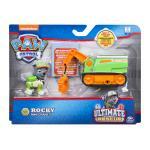 Go on an Ultimate Rescue with Rocky's Mini Crane! 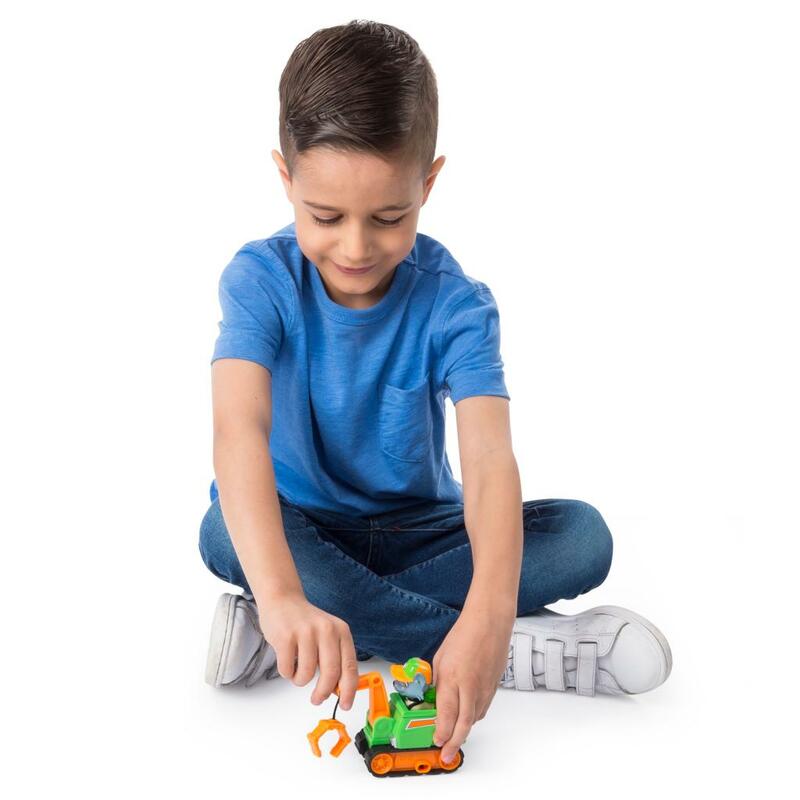 Featuring real working treads, a moving crane arm and realistic detailing, this crane vehicle brings the action-packed world of Adventure Bay to life! 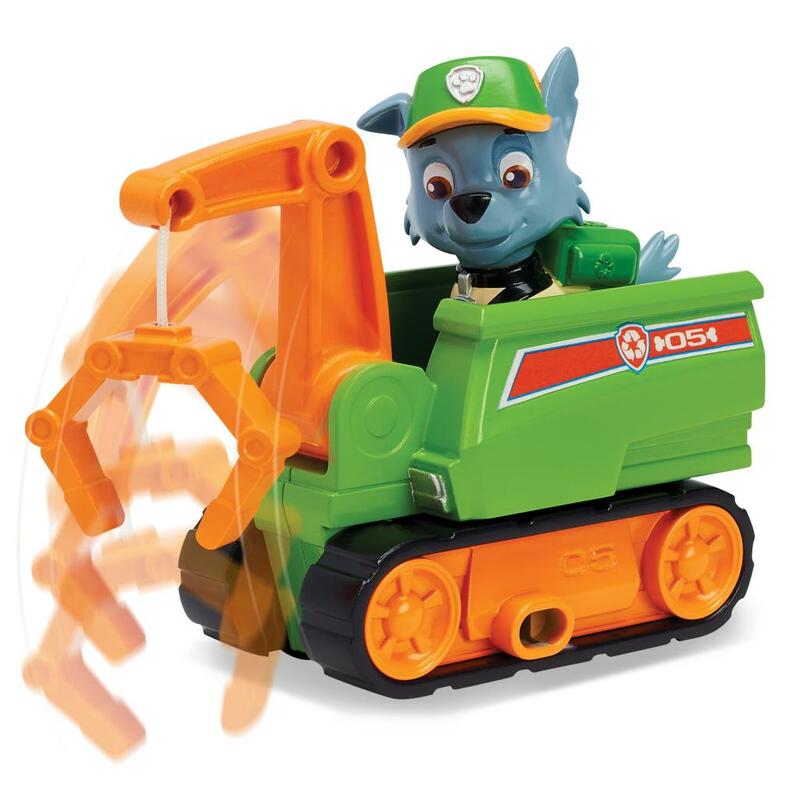 With Rocky (figure included) in the driver's seat, your child can use their imagination to create all kinds of Ultimate Rescue Missions for this daring pup. For even more exciting missions, combine and play with any of the PAW Patrol Ultimate Rescue Vehicles! The Mini Crane easily attaches to any Ultimate Rescue Vehicle - the PAW Patrol is on a roll! 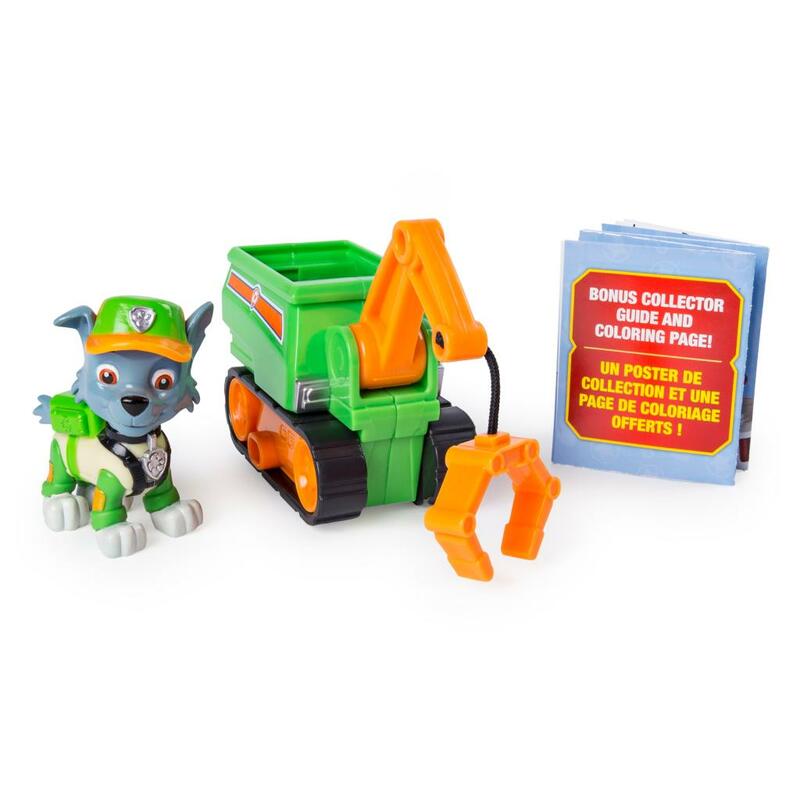 When your child completes their mission, they can get creative using the bonus collector guide and coloring page! 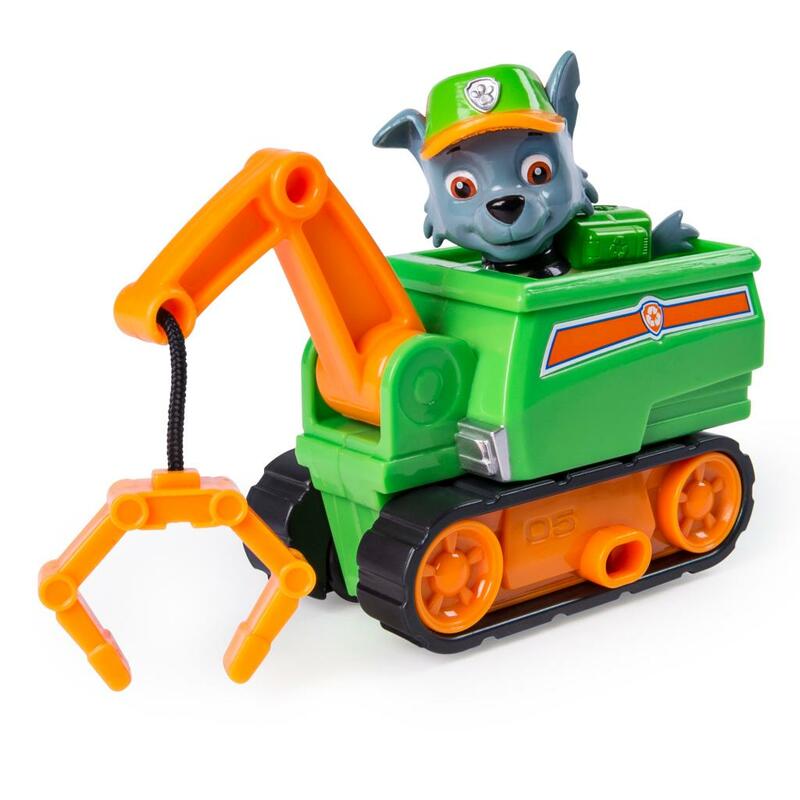 For hours of Ultimate Rescue play, dig in with Rocky's Mini Crane! 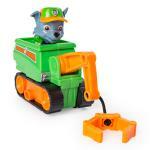 ULTIMATE RESCUE CRANE: Rocky's Ultimate Rescue Mini Crane is ready for a ruff, ruff, rescue! 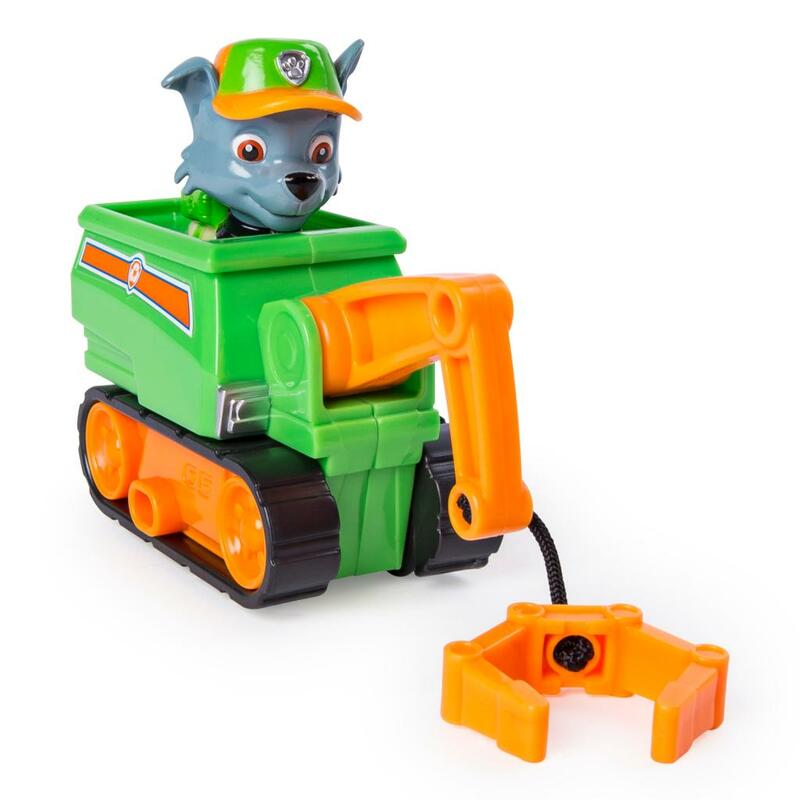 Put Rocky (figure included) in the driver's seat and save the day! Rocky's Mini Crane is a great gift for kids aged 3+. 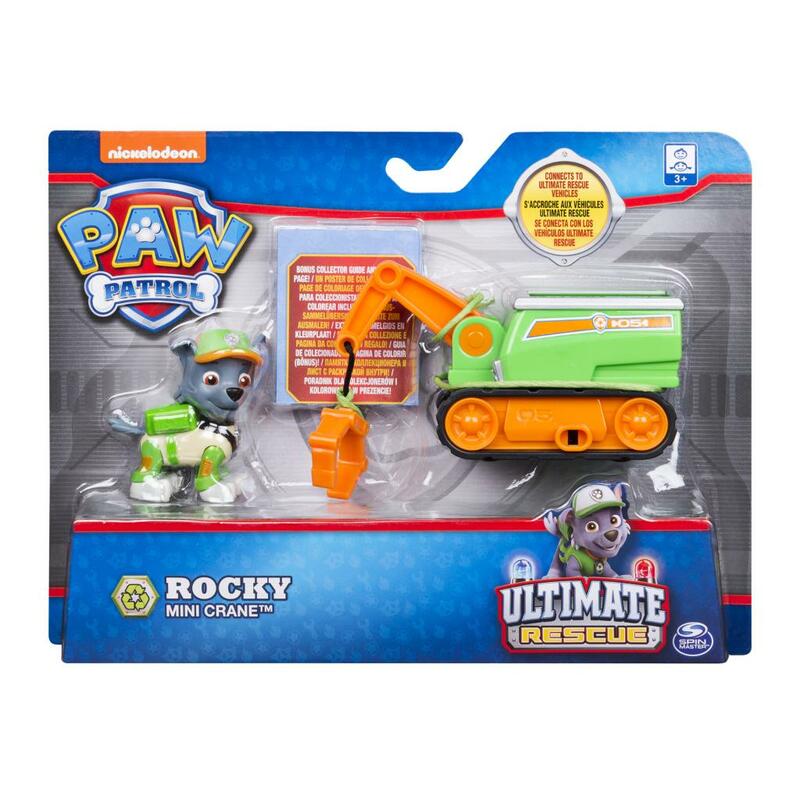 Collect all of the PAW Patrol's Ultimate Rescue vehicles and go on an epic Ultimate Rescue Mission!